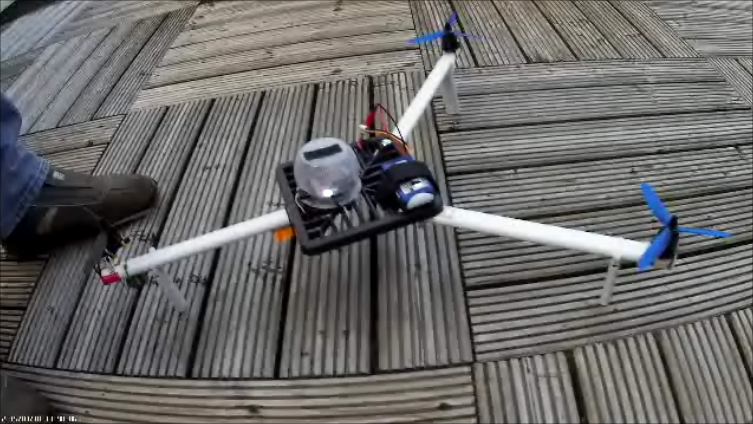 I'm very happy with this folding tri-copter I've made with a NAZE 32 Funfly board and a grid cover and some old uPVC electrical conduit. It's flying great but I have to manually adjust the roll and pitch angles in CleanFlight or add a lot of trim to counteract the fact that the board is mounted on foam which seems to easily get compressed and out of alignment with wiring pushing against it. So I want to be able to use INFLIGHT_ACC_CALIBRATION. 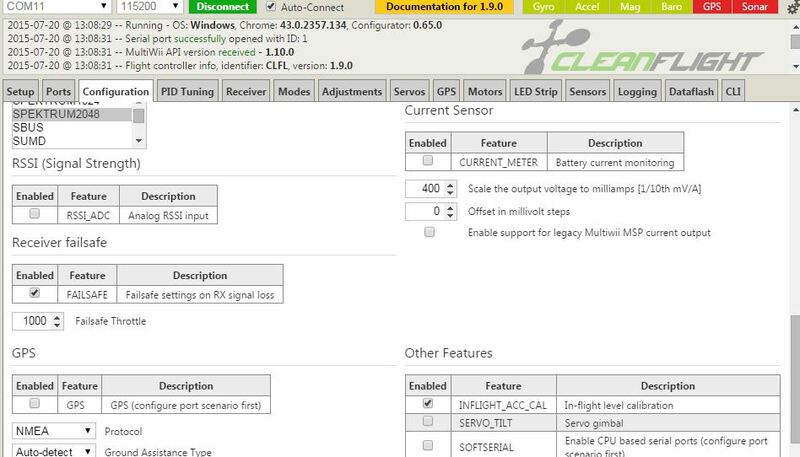 I've set this in the CleanFlight GUI and enabled a three position switch to move from position two, HORIZON and MAG mode to position three, HORIZON, MAG and CALIB mode but I just can't get it to work during flight. NB. This shows CALIB on it's own dedicated position but I've tried it all ways. I'm following these instructions for MultiWii, http://www.multiwii.com/wiki/index.php?title=Extra_features#Inflight_ACC_calibr ation. Has anybody had any success with INFLIGHT_ACC_CALIBRATION? If so, do you have any tips or better instructions to follow please? I've done it, but it's been months. I think you basically get into a level hover, then turn on the switch to activate the calibration. 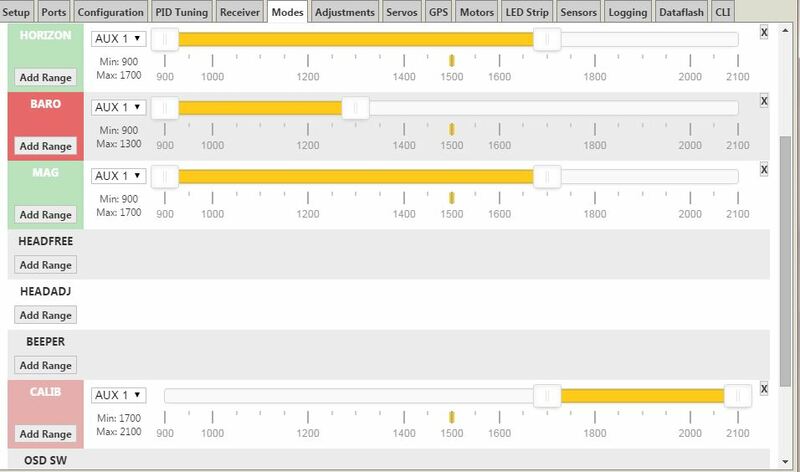 Then land, disarm, and move the switch out of calibration to save your settings. looks like flying it is fun and not...draining? I think you've...covered...all of the bases for a good tricopter!